Sell your iPhone 3GS 8GB with OnRecycle and get the most money from an array of trusted recyclers. With our easy-to-use system, you'll be ready to recycle your iPhone 3GS 8GB in minutes! Looking to sell iPhone 3GS 8GB in return for some cash? OnRecycle is your ultimate online destination. 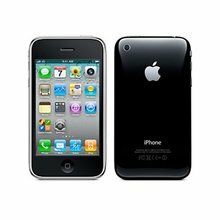 Explore our range of iPhone 3GS 8GB trade in prices, select a mobile phone recycler, and get set to sell! Who would’ve thought that selling your iPhone 3GS 8GB could be so effortless?